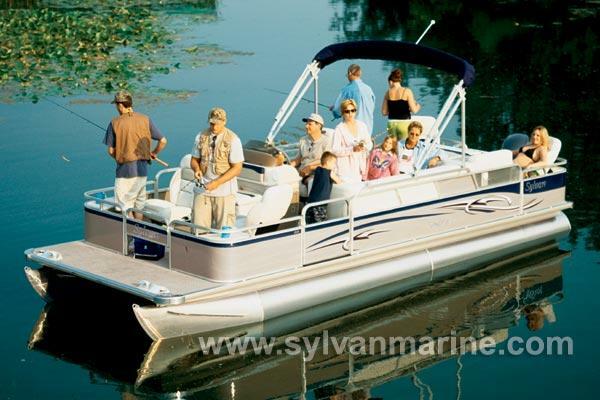 Boat Description The Sylvan 8524 Castaway features up to 24 feet of fishable space, with a built-in livewell, lockable rod box, and 4 bass seats. The Castaway also carries a lifetime warranty on the tubes, deck, and all-aluminum transom, plus a 5-year warranty on the carpeting. For added comfort and safety there are Posi-Lock gate latches, navigational lights, anodized railings, and deck trim.